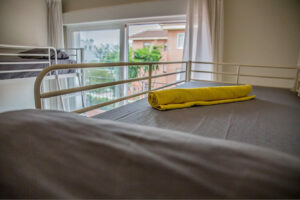 We offer accommodation for groups in Malaga for 30 people maximum. 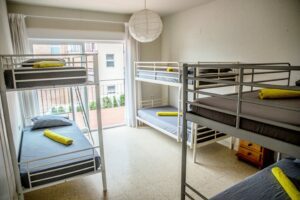 Rooms would be distributed in 2, 4 and 6 beds rooms, depending of the group size. The building would be entirely booked for groups of more than 25 people. We offer only breakfast, Half and Full board. Please send us an email to info@barbatuke.com for a price quotation. Please, let us know the date and amount of people.